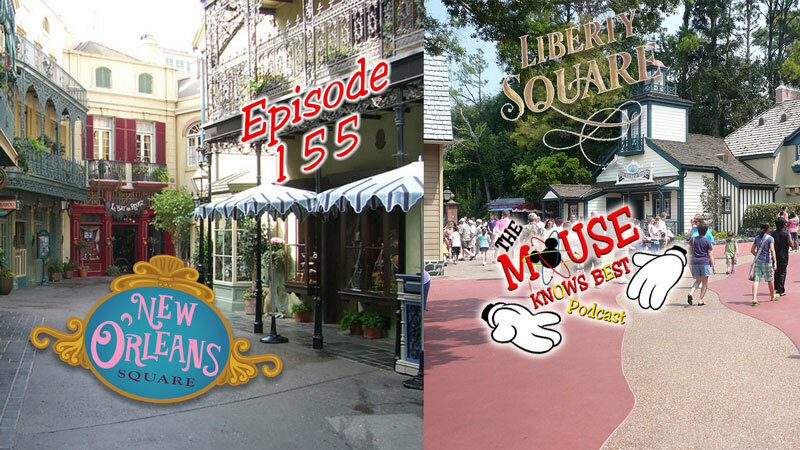 Episode 155 - New Orleans Square was the first time that the Imagineers tried to create an accurate portrayal of a real place instead of a romanticized impression. The area is a carefully designed, fully immersive, urban environment. The staging of the design elements is meant to slow you down and allow you to soak up the atmosphere. The high level of detail is necessary because this space reflects the qualities of a place that really exists and would be accessible to many of Disneyland's visitors. The challenge for the Imagineers was to create an "enhanced reality" that is "better than real.". Join host Cody, Justin, Kevin, Jenn, Robyn, Jared, and Joe. Join us we continue our series Disney's Lands on this trip we visit New Orleans Square and Liberty Square. Liberty Square is one of six "themed lands" and is exclusive to the Magic Kingdom, a theme park at the Walt Disney World Resort in Lake Buena Vista, Florida. Themed after colonial America, replicas of both the Liberty Bell and Liberty Tree can be seen here.